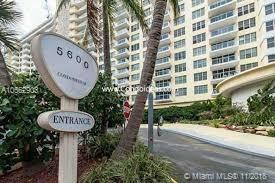 2 bedroom/2 bathroom, 1,190 sq ft condo with intracoastal and skyline views in the beautifully renovated 5600 Condo Building. 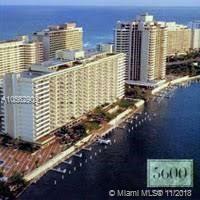 Unit has an open balcony, a washer and dryer, dock availability and 24 hour concierge. Unit comes with extra storage on 7th floor. Amenities include billiard room, BBQ/picnic area, business center, elevator, exercise room, heated pool, marina, child play area and pool.